This column originally appears in St. Cloud Times, Monday, February 10, 2014. If you watched the Super Bowl commercials, you should be aware of the controversy Coca-Cola stirred up with its new ad titled “It’s Beautiful.” The 60-second ad featured “America, the Beautiful,” sung in seven languages during scenes of Americans of different ethnicities spending time together. Soon after the ad aired, outrage swiftly broke out on Twitter and Facebook, as evidenced by a newly created hashtag: #SpeakAmerican. Apparently, many Americans do not think Coca-Cola, as a U.S. corporation, should advertise in languages other than English. As an international student pursuing my studies in the United States, it is ignorant for some Americans to feel the only language that should be used in their everyday lives is English. While many who protested against Coca-Cola for showcasing non-English languages in the context of a patriotic song think that such action was anti-American, these critics might not have realized that multilingualism is the reality in America. According to the latest American Community Survey conducted by the U.S. Census Bureau, many people living in the U.S. speak languages other than English, despite the predominance of English as the quasi-official language in America. In the survey, the Census Bureau created a list of 381 languages spoken by Americans and reported that 22 percent of Americans do not consider themselves good English speakers. Given these conditions, many U.S. citizens are still blind to the fact that the American society is constantly diversifying into a multicultural community. Coke has probably realized how that is not quite true. To say beauty is in the eyes of the beholder is fairly accurate. 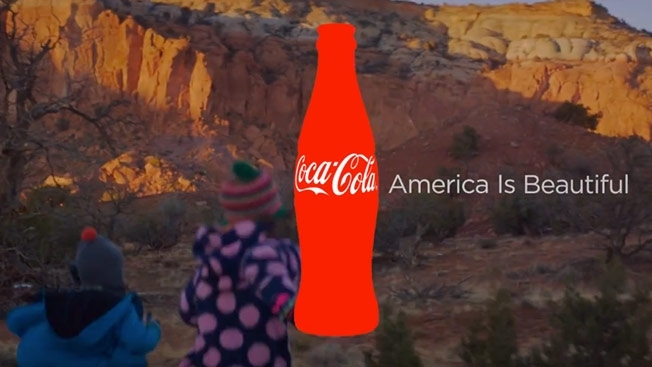 As one of the most controversial Super Bowl ads this year, Coke did not rely on usual tactics — humor, terror, catchy tunes or clever wordplay — but captured our attention by simply reflecting the reality of life in America. That is the real beauty. Thanks, creators of the Coke ad, for reminding America that multiculturalism and diversity should be valued and emphasized in our society. It’s a shame not everyone thinks this way. I am a member of the Times Writers Group. My article appears every second Monday of the month in St. Cloud Times opinion page.